Letter H is very popular as the most common English consonant digraph. With the other letters, the letter H will make new letter sounds: sh, wh, ch, th, and ph. 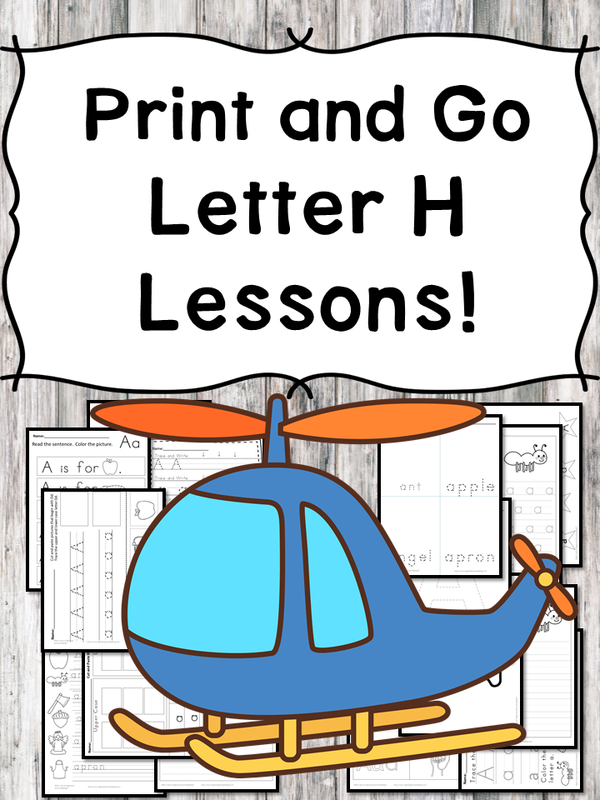 Before kids learn about the combination of letter H with other consonants as digraphs, kids need to learn about the single letter H sound, in the beginning, the middle, and the end of words. 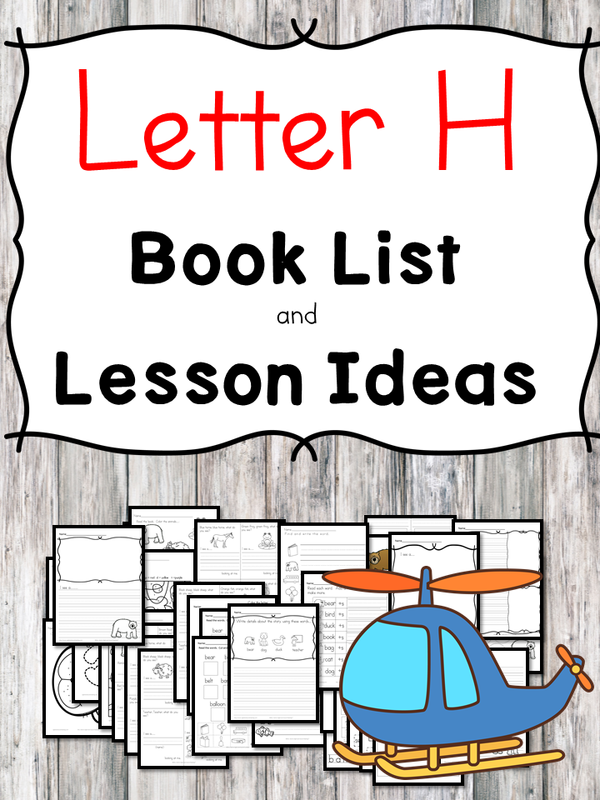 Today I would like to share letter H book list to help kids learn the letter H.
In this sparkling version of a classic tale, Red Hen finds a recipe for a Simply Splendid Cake and asks her friends the cat, the rat, and the frog to help with the preparations. But it seems as though her friends want no part in the cake until it’s ready to eat. Will they decide to pitch in, or let Red Hen do all of the hard work? *We have 3 Red Hen stories you can read and compare/contrast. You can compare/contrast characters, what they make, the ending, etc. This is a great story to focus on reading comprehension. It is very simple, yet there is big understanding that can happen… and consequences for actions. In this sparkling version of a classic tale, Red Hen finds a recipe for a Simply Splendid Cake and asks her friends the cat, the rat, and the frog to help with the preparations. But it seems as though her friends want no part in the cake until it’s ready to eat. Will they decide to pitch in, or let Red Hen do all of the hard work? In the Letter H Activity Pack/Little Red Hen pack there are many activities to go along with the book and to do for the letter H.
Hermit Crab seeks the perfect home—and learns to appreciate change—in this Ready-to-Read edition of Eric Carle’s beloved story. In this classic story from Eric Carle, Hermit Crab grows out of one house after another as he searches for the perfect home. Children who must change schools, move to a new town, or even graduate to a new grade in school will relate to Hermit Crab’s situation and take heart as they see that growing up isn’t really so scary after all. In this sparkling version of a classic tale, Red Hen finds a recipe for a Simply Splendid Cake and asks her friends the cat, the rat, and the frog to help with the preparations. But it seems as though her friends want no part in the cake until it’s ready to eat. Will they decide to pitch in, or let Red Hen do all of the hard work? When Lisa’s woolen stocking flies off the clothesline, Hedgie finds it and pokes his nose in. He tries to pull it out, but the stocking gets stuck on his prickles — and the fun begins. A mother hen comes by, then a noisy goose, a talkative barn cat, a playful farm dog, a mama pig and her piglets, and a pony. They all laugh at Hedgie, especially when he pretends he’s wearing a new hat. But in the end, it is clever Hedgie who has the last laugh. And where is Lisa when all of this is going on? She’s in Jan Brett’s signature borders, getting ready for winter, until she realizes her stocking is missing and she enters the story to look for it.